Traders said, reduced demand from local jewellers as well as retail buyers led to the slide in gold prices. 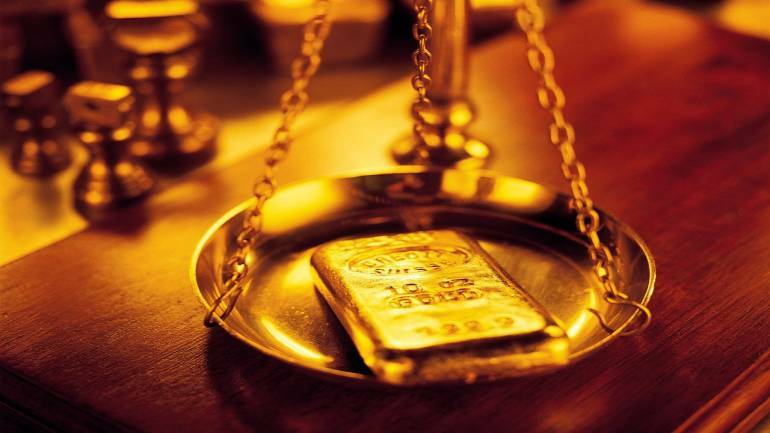 Gold prices on April 9 slumped by Rs 235 to Rs 32,980 per 10 gram in the national capital due to lacklustre demand from jewellers, according to the All India Sarafa Association. Silver too fell by Rs 660 to Rs 38,010 per kg on low offtake by industrial units and coin makers. In the international market, spot gold was trading at USD 1,299.30 an ounce while silver was at USD 15.31 an ounce in New York. On April 8, the yellow metal rose by Rs 425. In the national capital, gold of 99.9 percent and 99.5 per cent purity declined by Rs 235 each to Rs 32,980 and Rs 32,810 per 10 gram, respectively. Silver ready witnessed a fall of Rs 660 to Rs 38,010 per kg, while weekly-based delivery gained Rs 77 to Rs 37,830 per kg. Silver coins, too, faced pressure and fell by Rs 1,000 to Rs 79,000 for buying and Rs 80,000 for selling of 100 pieces.